Diablo III will be available for Windows® XP/Windows Vista®/Windows® 7 and Macintosh® at a suggested price of €59.99 for both the retail DVD-ROM version and the digital version sold directly from Blizzard. A special alabaster-white Collector’s Edition, sold exclusively in retail stores at a suggested retail price of €89.99, will include the full game on DVD-ROM, a behind-the-scenes Blu-ray/DVD two-disc set, the Diablo III soundtrack CD, a 208-page Art of Diablo III book, and a 4 GB USB soulstone (including full versions of Diablo II and Diablo II: Lord of Destruction®) and corresponding Diablo skull base, as well as exclusive in-game content for Diablo III, World of Warcraft®, and StarCraft® II: Wings of Liberty®. Diablo III has received a 16+ rating from PEGI. World of Warcraft players interested in getting Diablo III free are encouraged to join the more than 1 million players who have already signed up for the World of Warcraft Annual Pass. * Through this promotion, with a 1-year commitment to World of Warcraft, players will receive a free digital copy of Diablo III -- which they’ll be able to start playing immediately on May 15 -- as well as an exclusive World of Warcraft in-game mount and access to the World of Warcraft: Mists of Pandaria™ beta test. This offer will no longer be available as of 09:01 a.m. CEST on May 1. Learn more at http://www.worldofwarcraft.com/annualpass. In Diablo III, players take on the role of one of five heroic characters -- barbarian, witch doctor, wizard, monk, or demon hunter -- and engage in pulse-pounding combat with endless legions of evil. As they undertake an epic quest to rid Sanctuary from the corrupting forces of the Burning Hells, players will explore diverse and perilous settings, grow in experience and ability, acquire artifacts of incredible power, and meet key characters who’ll join them in battle or aid them in other ways. 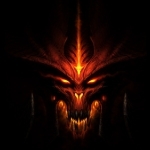 For more information on Diablo III, please visit the official website at http://www.diablo3.com. To set up a Battle.net account and to opt-in to Blizzard Entertainment beta tests, please visit the official Battle.net website at http://eu.battle.net. With multiple games in development, Blizzard Entertainment has numerous positions currently available -- visit http://jobs.blizzard.com for more information and to learn how to apply. Skrivet av VodkaCitron den 15 mars, 2012 - 17:54. Texter - Därför får du Diablo III "gratis"